Who Course is For: Outdoor recreationalists, enthusiasts and professionals. The Wilderness First Responder course is designed with the outdoor professional and outdoor enthusiast in mind. It has become the industry standard for most guide services and environmental education programs. It focuses on developing skills for treating problems outside the “ golden hour” of first response, under extreme conditions or forced to improvise. Our course includes lots of anatomy and physiology. 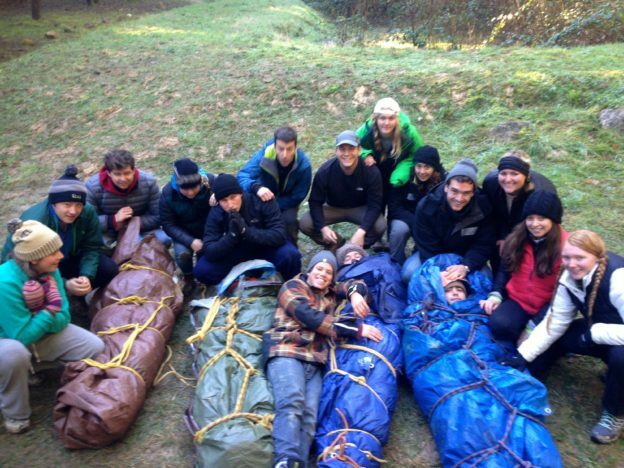 It is based on the protocols set by the Wilderness Medical Society and instruction encourages the students ability to think through body systems in an effort to determine the best response to traumatic, environmental or medical situations. Classroom sessions are followed with hands on practice to integrate the information in a field setting. 100% attendance is required and there will be a night scenario included. The students will get to see their skills in action as video coverage of intensive scenarios will be reviewed towards the end of the class. A comprehensive written exam is also administered. The course includes AEHS adult, child and infant CPR certification which is OSHA approved. We can schedule this course for on-location training at Universities, Community Centers, or Outdoor Programs.